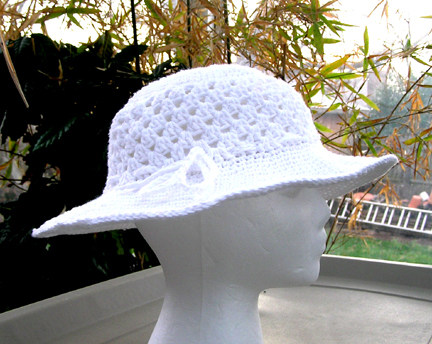 � Brimmed bucket style cotton crochet sun hat in white with crochet shell pattern between crown and brim of hat. Brim measures 3 inch in width. 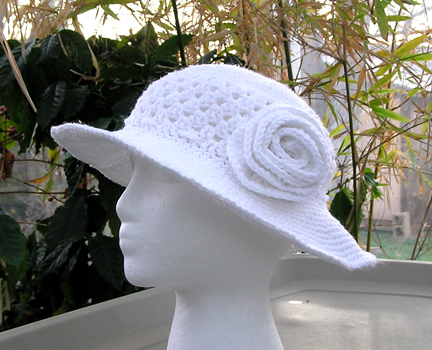 Accented with white crochet rose. 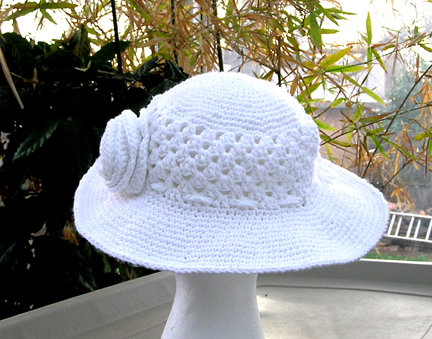 Made with 100% US grown cotton yarn. 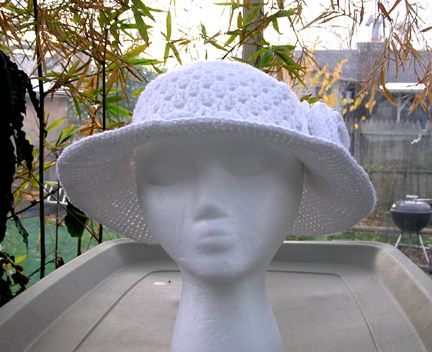 Hat can be machine wash and dried, but recommend hand wash in warm water and dry flat. 22 inch head circumference�optimum fit. Since this cotton yarn is not stretchy compared to most yarn, a drawstring around the hat band area allows for some adjustment in fit.